After he almost got away with it, video surfaced incriminating 33-year-old Officer Michael Slager in the shooting death of unarmed black man Walter Scott. 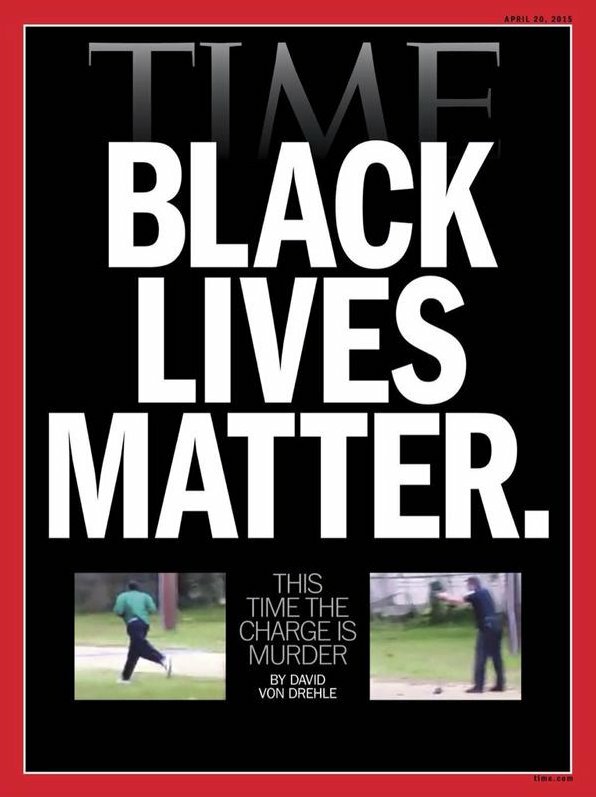 Now, TIME Magazine has joined the conversation, using the trending hashtag black lives matter on their latest cover. Accompanying the bold headline in TIME‘s latest issue, is an image of the South Carolina Police shooting in which the Police Officer now faces a murder charge. We see Mr. Scott running away while Officer Slager points his gun at the fleeing man execution style. According to the video from which the images were taken, the police officer had fired the gun eight times at Walter Scott and at least 5 bullets hit him in the back. Walter Scott died on the scene without any help from the Michael Slager, who has now been charged with Murder. Walter Scott is a father of four and a former coast guard, honorably discharged.